Quality Construction Inside and Out. 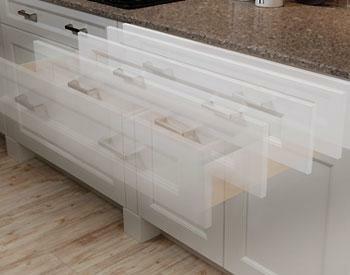 Design-Craft cabinets are created one at a time, one order at a time. 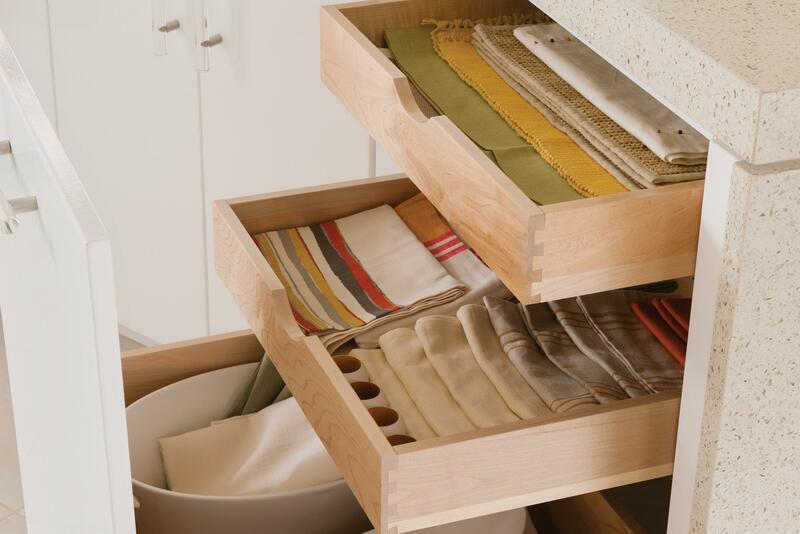 Your cabinets are built to your exact specifications for style, organization and detailing. 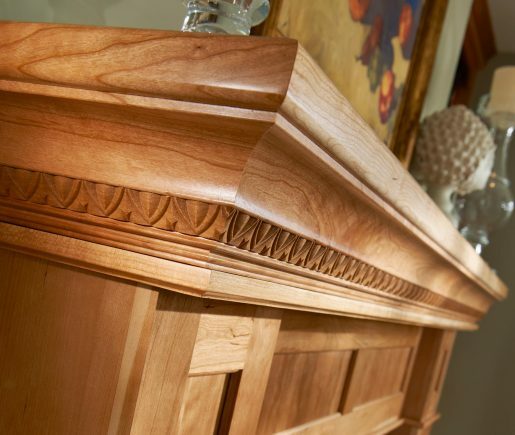 Inside every cabinet you’ll find exceptional craftsmanship and unique benefits. 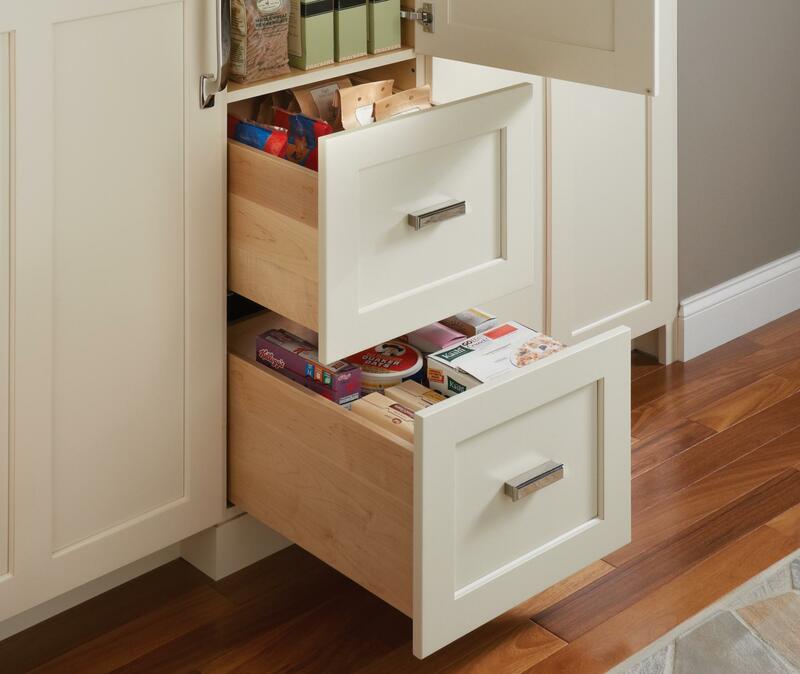 With Design-Craft cabinets there are no bulky front cabinet frames to block your reach or obscure the items in your cabinets. Choose from standard furniture board or upgraded plywood cases for the sides, bottoms and floors. 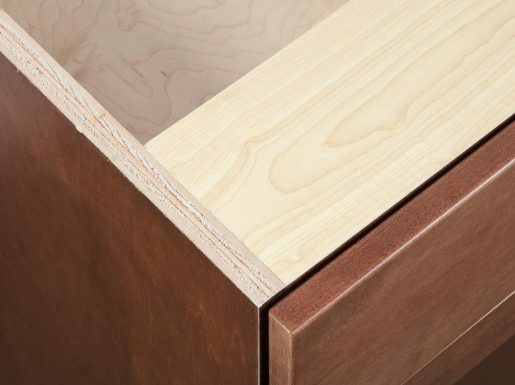 Upgraded plywood gives you the ultimate in confidence with ¾″ thick materials; 33% thicker than most framed cabinets. 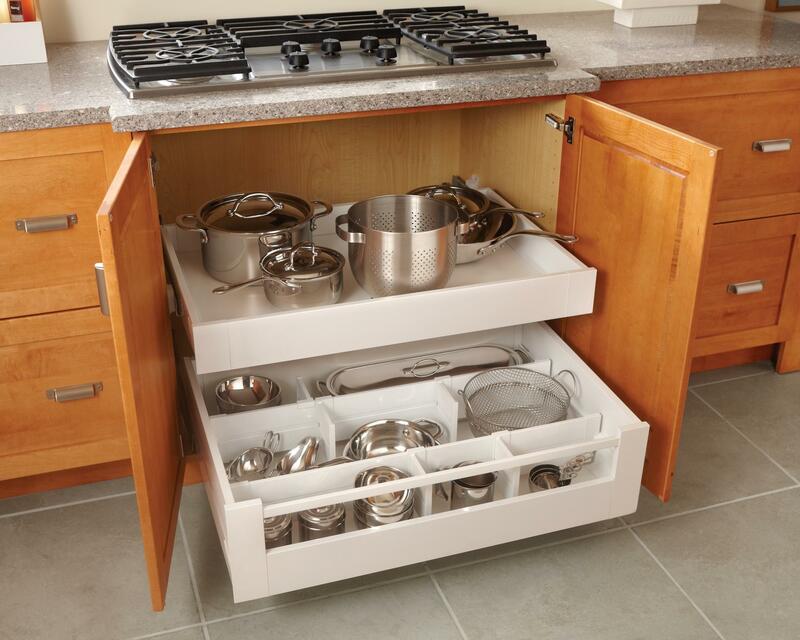 Design-Craft has built-in benefits that may not be top-of-mind, but are definitely appreciated once installed. 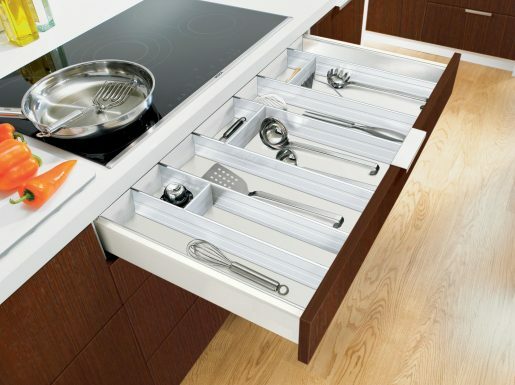 Every Design-Craft drawer features full-extension drawer glides that give you access to everything inside. 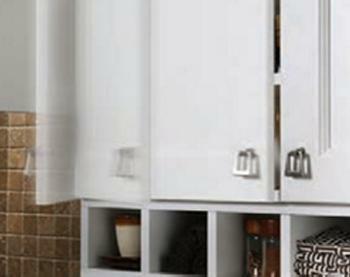 Special 110˚opening door hinges also slow the occasional slam for a peaceful kitchen, day and night. 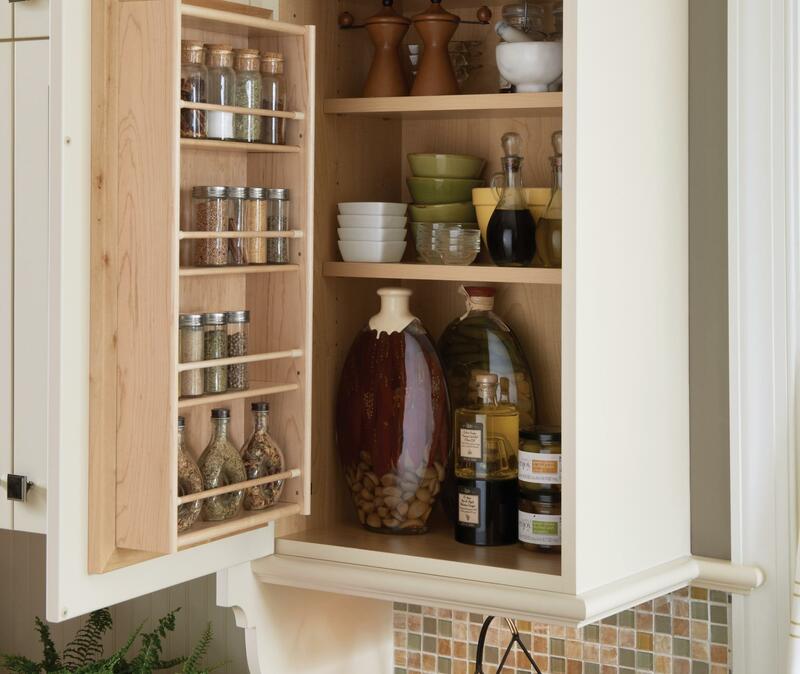 We know you value the inside of your new cabinets as much as the outside. And now, you can choose the beauty you want inside, as well as outside. A beautiful, natural-looking maple wood melamine interior is applied to either standard furniture board or upgraded plywood. A bright, fresh cabinet interior greets you every time with white thermofoil, applied to either standard furniture board or upgraded plywood. 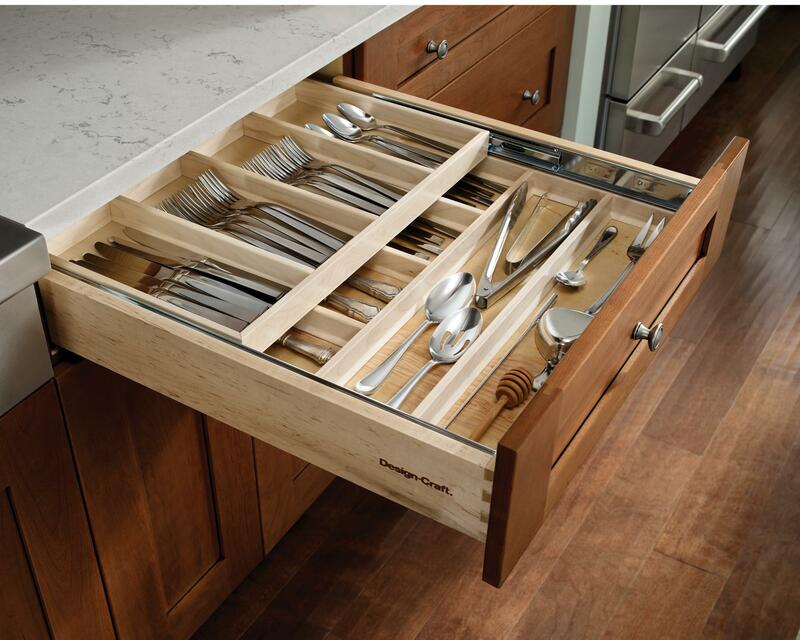 Design-Craft brings premium features to every product as standard. Upgrade options allow you to choose the look and level of performance you desire in your home. 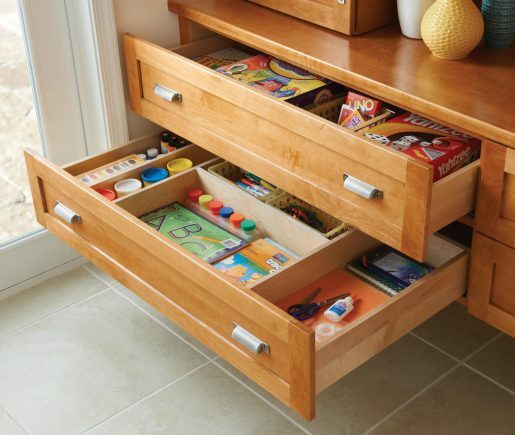 A bright, fresh cabinet interior greets you every time with white melamine, applied to either standard furniture board or upgraded plywood.